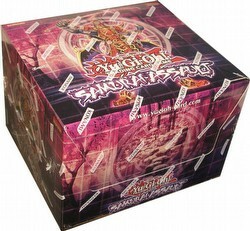 Each box contains 10 packs. Each pack contains 28 cards. Each Samurai Assault Special Edition box contains 10 packs. Each pack includes 1 Strike of Neos booster pack, 1 Crimson Crisis booster pack, 1 Storm of Ragnarok booster pack, and 1 Super Rare Elder of the Six Samurai card.